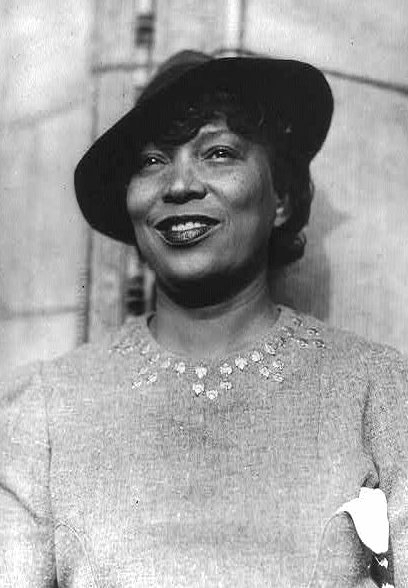 Zora Neale Hurston was a famous Dramatist from USA, who lived between January 7, 1891 and January 28, 1960. She became 69 years old. Zora Neale Hurston was born in Eatonville and died in Fort Pierce, Florida, she was an American writer and anthropologist. Hurston studied anthropology at Barnard College and subsequently issued books on folklore, but also novels. She is born under the zodiac capricorn, who is known for Determination, Dominance, Perservering, Practical, Willful. Our collection contains 38 quotes who is written / told by Zora, under the main topic Love. "Love makes your soul crawl out from its hiding place"
"It's no use of talking unless people understand what you say"
"It's a funny thing, the less people have to live for, the less nerve they have to risk losing nothing"
"It would be against all nature for all the Negroes to be either at the bottom, top, or in between. We will go where the internal drive carries us like everybody else. It is up to the individual"
"It was a weak spot in any nation to have a large body of disaffected people within its confusion"
"It seems to me that trying to live without friends is like milking a bear to get cream for your morning coffee. It is a whole lot of trouble, and then not worth much after you get it"
"It seems that fighting is a game where everybody is the loser"
"It is one of the blessings of this world that few people see visions and dream dreams"
"It costs you something to do good!" "If you want that good feeling that comes from doing things for other folks then you have to pay for it in abuse and misunderstanding"
"I regret all of my books"
"I have been in Sorrow's kitchen and licked out all the pots. Then I have stood on the peaky mountain wrapped in rainbows, with a harp and sword in my hands"
"I do not weep at the world I am too busy sharpening my oyster knife"
"I did not just fall in love. I made a parachute jump"
"Grab the broom of anger and drive off the beast of fear"
"Gods always love the people who make em"
"Gods always behave like the people who make them"
"But for the national welfare, it is urgent to realize that the minorities do think, and think about something other than the race problem"
"Anybody depending on somebody else's gods is depending on a fox not to eat chickens"
"A thing is mighty big when time and distance cannot shrink it"
"Those that don't got it, can't show it. Those that got it, can't hide it"
"There is something about poverty that smells like death"
"When one is too old for love, one finds great comfort in good dinners"
"Trees and plants always look like the people they live with, somehow"
"There are years that ask questions and years that answer"
"The Haitian people are gentle and lovable except for their enormous and unconscious cruelty"
"The present was an egg laid by the past that had the future inside its shell"
"Sometimes, I feel discriminated against, but it does not make me angry. It merely astonishes me. How can any deny themselves the pleasure of my company? It's beyond me"
"So the brother in black offers to these United States the source of courage that endures, and laughter"
"Ships at a distance have every man's wish on board"
"Research is formalized curiosity. It is poking and prying with a purpose"
"People can be slave-ships in shoes"
"Nothing that God ever made is the same thing to more than one person. That is natural"
"No matter how far a person can go the horizon is still way beyond you"
"No man may make another free"
"Mama exhorted her children at every opportunity to 'jump at the sun.' We might not land on the sun, but at least we would get off the ground"
"Love, I find, is like singing. Everybody can do enough to satisfy themselves, though it may not impress the neighbors as being very much"